Kids are headed back to school and Thanksgiving decorations are already starting to show up in stores, sigh, Labor Day weekend might be your one last shot at summer, so before this fleeting season is over, promise me you’ll make up a batch of these margaritas before it’s too late. 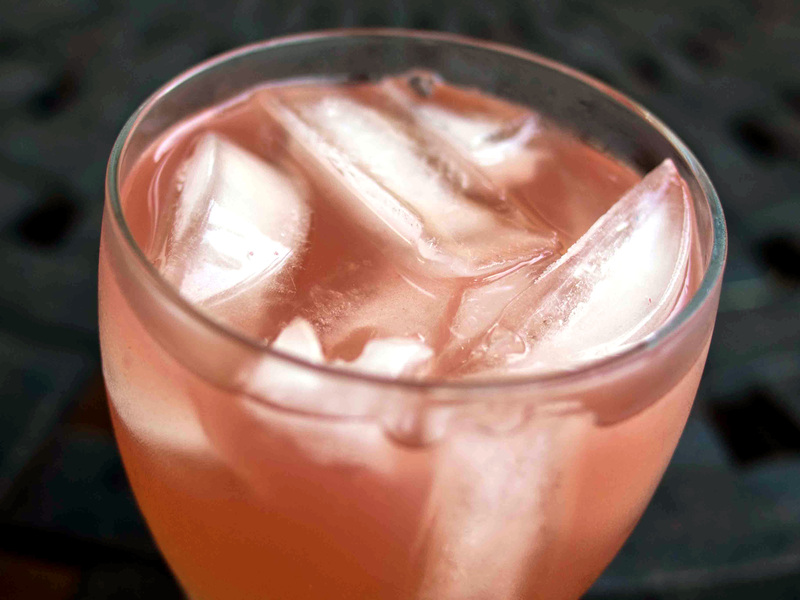 Using a fine mesh strainer, strain the watermelon from infused tequila. 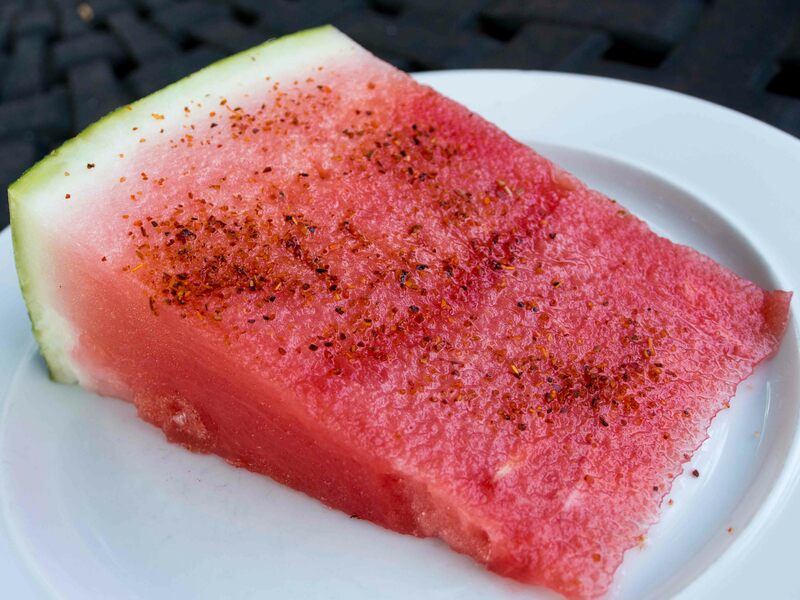 Be careful not to crush the watermelon, as the extra liquid will just dilute the tequila and not add a whole lot of flavor. Discard the watermelon. Note that you will end up with more liquid than you started with, so I refilled the tequila bottle and poured the rest into a mason jar (seemed fitting). Math note: I used one of the body-sized 1.75L bottles of Kirkland Silver Tequila. So 1.75L divided by 2 equals .875L, or pretty darned close to a gringo quart of watermelon. Bring 2 cups water to a boil. Stir in 2 cups of granulated sugar. Reduce heat to low and stir just until the sugar dissolves completely. Remove from heat and let cool. Pour off into a sealable container (again, I used a mason jar) and store in fridge until ready to use. Rim the glasses with salt or Tajín (or a bit of both) and fill with ice. Combine tequila, lime juice, syrup, and orange liqueur. Divide into glasses. Enjoy! And you thought Jumbo Shrimp was an oxymoron – meet Extra Colossal Shrimp. Also know as U-10, they are shrimp so big that it takes less than 10 of them to make a pound. In this case, 5 of these bad boys weighted in at 16.75 ounces. The only preparation worthy of shrimp like these was to season them lightly and toss them on the grill. Combine lemon juice, olive oil, salt, and seasoning in a bowl. Mix to combine. Add the shrimp and toss to coat. Stash in the fridge while you get the grill fired up. 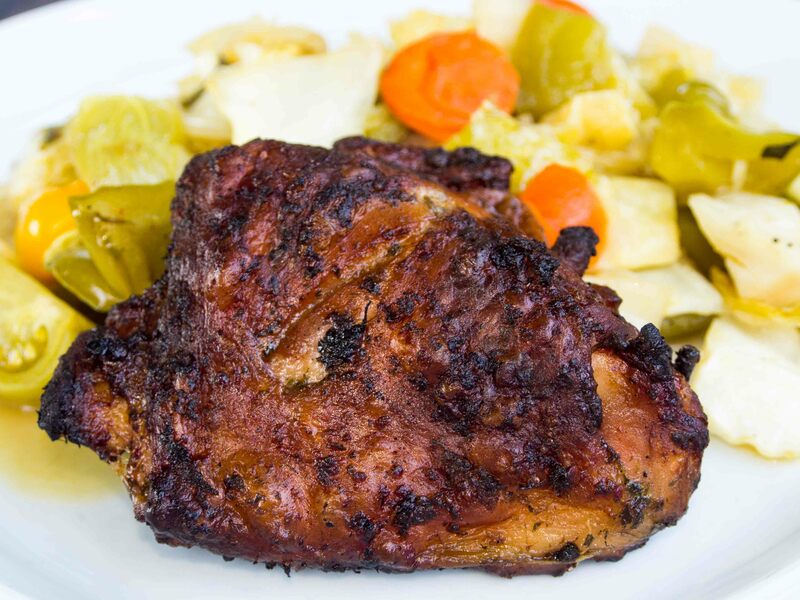 Set the grill up for a direct cook over medium-high (400°F) heat. 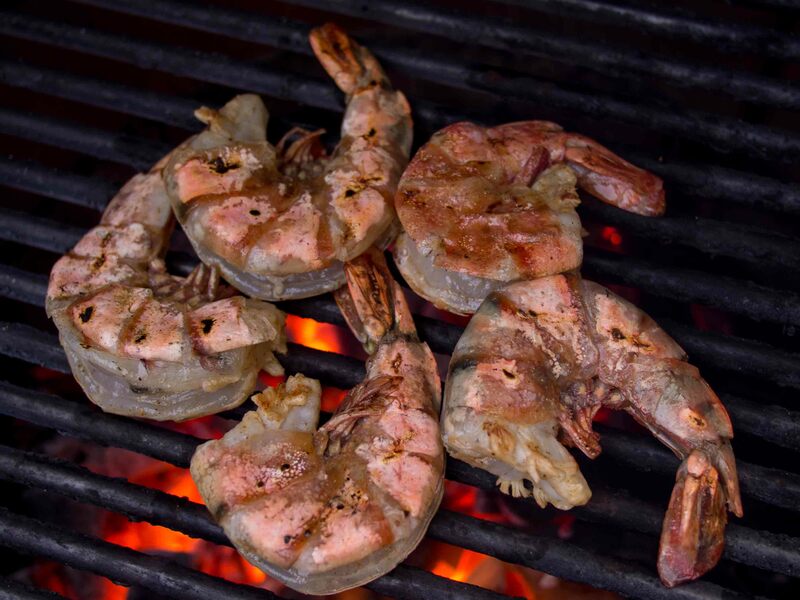 Arrange the shrimp on the grate and grill until the shell is pink and the flesh opaque, about 4 minutes per side. These shrimp were big enough that I also grilled them for 2 minutes on edge with the tails up. So tasty even my never-had-a-shrimp-that-wasn’t-breaded niece liked them. 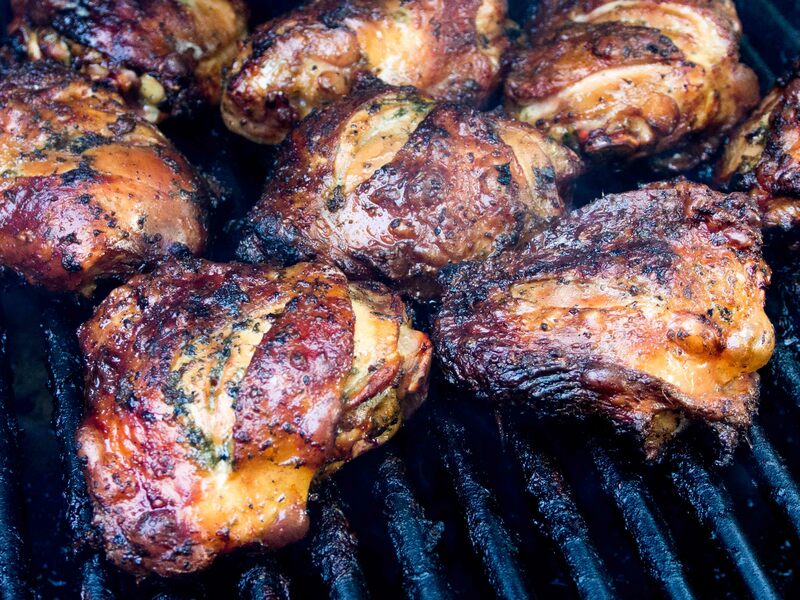 The shell holds the juices in, so they end up sweet and tender with just a hint of smoke. They were the perfect appetizer. 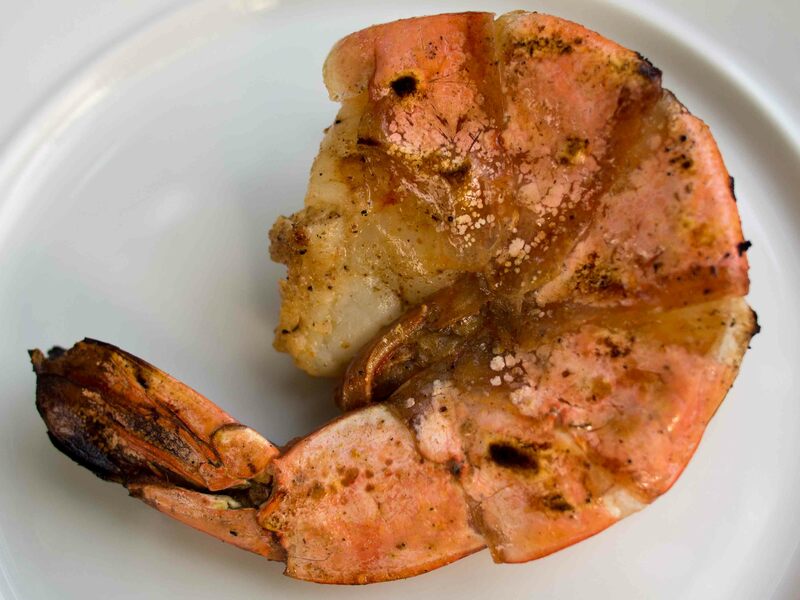 Shrimp are practically free – 2 ounces are just 1 Weight Watchers point and only 65 calories. Sunday was kind of a big day for me – I entered my Pomegranate Pig Barbeque Sauce in the Minnesota State Fair’s Creative Activities competition. You have never in your life seen a grown man so nervous about the care and well-being of two little jars of sauce as I was that day. 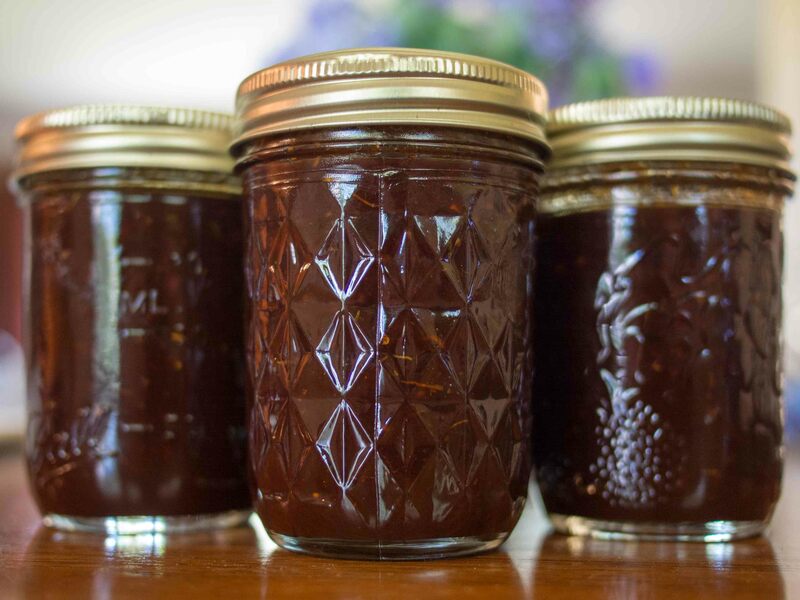 Combine sugar, honey, paste, vinegar, Worcestershire, molasses and salt. Wisk to combine. Bring to a boil.. Reduce heat and simmer for 1 minute. Taste and adjust for sweetness, acid, umami, and salt. Note – I added another 1/4 cup of vinegar and 2 teaspoons of salt at this point. Turn the heat off and add the garlic, chili powder, paprika, pepper, onion, vanilla, cayenne, sage, thyme, allspice, zest, nutmeg, and cumin. Wisk to combine. Bring to a boil again then reduce heat and simmer for 1 minute. Reduce heat to lowest setting and let sauce cook for another 5 minutes. Remove from heat and let cool. Bottle and store in the fridge. Makes about 3 1/2 pints. For the competition, I canned the sauce in 1/2 pint jars. I filled the jars, leaving 1/2 inch of head space, sealed them, and then processed them in a pressure cooker for 10 minutes at 10 p.s.i. I should know the results early next week. Wish me luck! Chile peppers + salt + dehydrated lime juice = Mexican sunshine in a shaker jar. 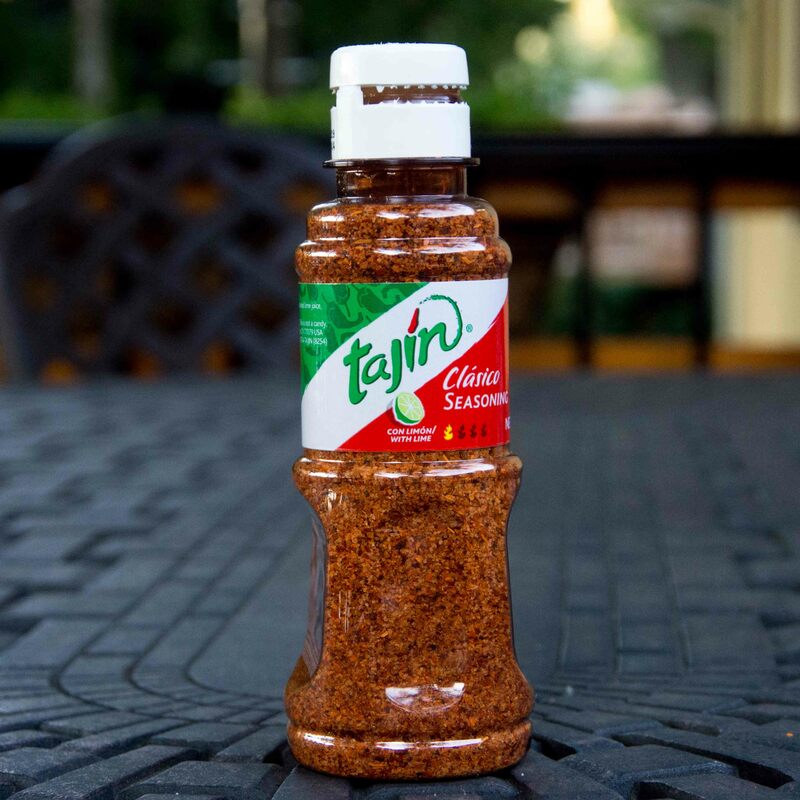 Just a little sprinkle of Tajín Clásico wakes up all kinds of dishes. I’ve had it on mangoes, fresh coconut, roast sweet corn, nopal (cactus) salads, and (of course) watermelon. Tajín adds a tasty salty tang with a little bit of heat that brightens up whatever you shake it on.It’s the perfect seasoning for all of the summer produce that’s ripe right now. Next up – Tajín Bloody Marys. Calories – nada. Weight Watchers points – nada.